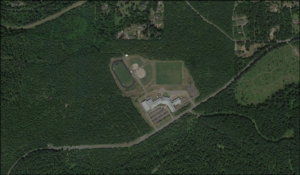 Tahoma Jr. High School, in rural area east of the City of Maple Valley. A bill making its way through the Washington legislature, ESHB 1017, would allow school districts to site new schools beyond the urban growth boundary under certain circumstances. This proposed legislation is intended to provide relief for school districts claiming they can’t find land for new schools within urban areas. Although this is a valid problem, ESHB 1017 in its current form goes way too far, creating a major loophole in the Washington State Growth Management Act (GMA), encouraging urban sprawl, and creating an unhealthy environment for students who won’t be able to bike or walk to school. The location of a school is one of the most important decisions a community will make. If a child lives close to their school, there is a significantly better chance that they will walk to class every day. However, when new schools are moved far away from where they live, they will almost certainly arrive by bus or car. The Institute of Medicine cites the decrease in walking and biking to school as one of the major contributors to childhood obesity, which has tripled for school-aged children over the last three decades. Studies also show that students arrive at school better prepared to learn when they get exercise walking to school in the morning. Schools play an important role as the community’s focal point as well. Parents meet each other while taking their children to school. Neighbors bump into each other while walking their dogs on the school grounds. Grandparents attend the school play and recognize a friend from long ago. Through these informal interactions, social networks are formed, strengthening a support system for children who can feel more connected to their community. This bill weakens the GMA, which currently includes clear criteria about what is and isn’t allowed in rural areas located beyond the Urban Growth Boundary. The GMA has been successful at promoting responsible growth. ESHB 1017 would be a big step in the wrong direction. A far better alternative would be to revise minimum acreage standards for new schools in the Office of Superintendent for Public Instruction’s School Facilities Manual and WAC 392-342-020. This requirement forces school districts to purchase excessively large contiguous tracts of land, which is often difficult to find in town, thereby driving school districts to look to the rural hinterlands for new school sites. 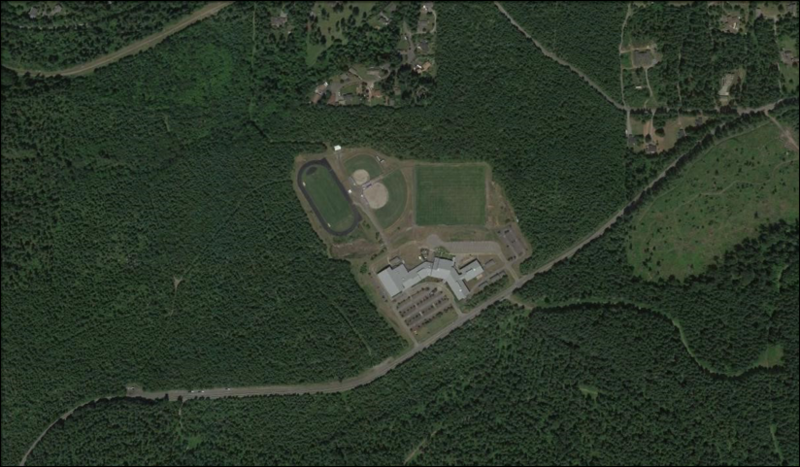 An example is Tahoma Junior High School, located in the rural area east of Maple Valley. It serves over 1,300 students, many drawn from the cities of Maple Valley and Black Diamond. The building site itself has a rather large footprint of about twenty-three acres, just large enough to meet OSPI minimum acreage standards. 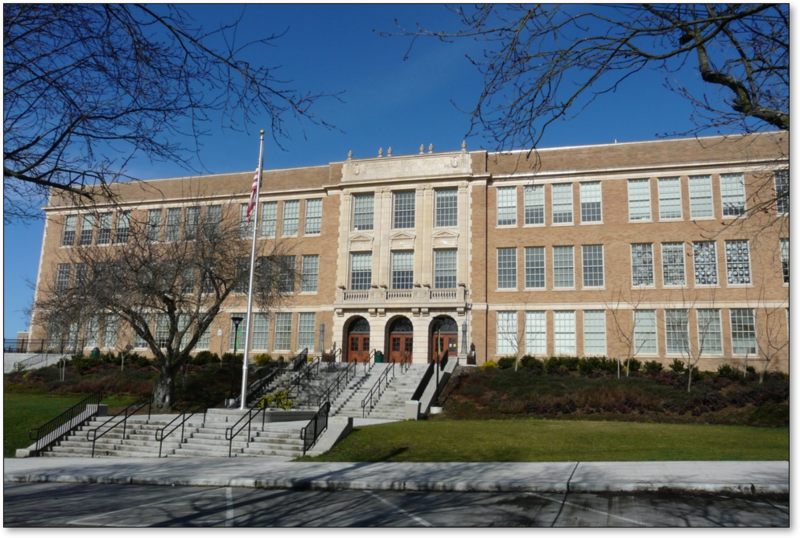 In contrast, Seattle’s Roosevelt High School serves a student body of just over 1,700 students with a campus footprint of only nine acres. 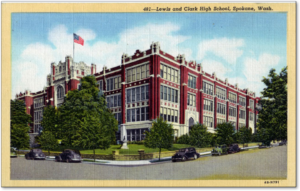 Spokane’s Lewis and Clark High School is even more efficient, serving over 1,800 students on only seven and a half acres. These high schools, both built in the early 1900s, would be in violation of OSPI minimum acreage standards if built today. Seattle’s Roosevelt High School (top) and Spokane’s Lewis and Clark High School. Why can’t we build schools like this anymore? Feet First’s position paper on school siting.